Can an island resort be a haven not only for humans, but also for endangered wildlife? 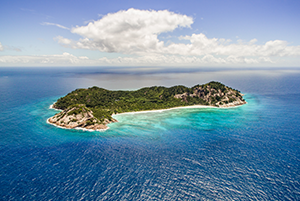 North Island, Seychelles demonstrates that a successful luxury tourism business in a fragile ecosystem can actively rehabilitate its environment. Once used as a plantation island producing copra (coconut kernels), North Island's Noah's Ark rehabilitation program is undoing the resulting significant loss of flora and fauna and restoring the island's natural habitat. Alien plant species are continually cleared and have been replaced with 120,000 native seedlings grown in the resort's nursery. The result: many indigenous wildlife species have returned or been successfully reintroduced, including the Seychelles Sunbird, the endangered Seychelles White-Eye, as well as both green and hawksbill turtles. Successful rat removal has allowed ground-nesting seabirds to thrive, while fishing protocols for guests and local fishermen ensure sustainable management of ocean resources. A team of environmentalists lives on site, monitoring all aspects of the island's ecology, from tide levels and beach movement to wildlife censuses and coral reef health – data which contributes to greater global understanding of migration patterns, sea temperatures, and the impact of climate change. What happens to tourism when a whole nation goes green? The Slovenian Tourist Board embraces and reflects a national goal to be one of the world's most sustainable countries. With nearly 60 percent of its land covered in trees, Slovenia is one of Europe's most biodiverse countries. 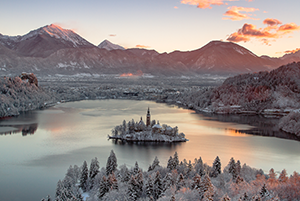 The Tourist Board unifies sustainability efforts through the Green Scheme of Slovenian Tourism, a structured national certification program to develop and publicize green destinations. The Scheme sets guidelines and provides tools for evaluating, improving, and promoting sustainability efforts. Today, more than 350 designated conservation sites, comprising 37 percent of the country's landscape, protect plant, animal, and bird species. Slovenia Heritage Trails showcase beautiful countryside, revitalize rural areas, and create authentic experiences for visitors by supporting local historic places, archaeology, rural traditions, festivals, and cultural events. The country's impressive tourism growth over the last decade also reflects supportive government involvement. 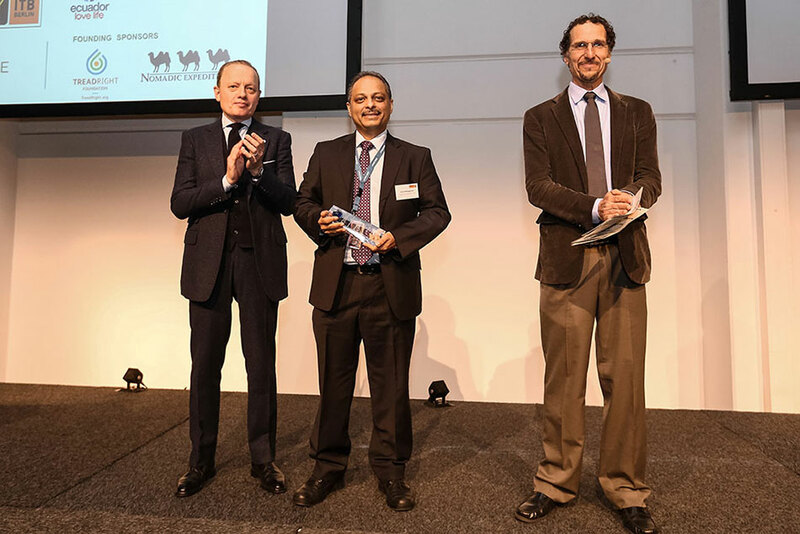 By formalizing sustainability benchmarks and instilling a culture of continual improvement, the Tourism Board has made tiny Slovenia a major force in green tourism worldwide. This innovative hospitality management company merges the concepts of luxury and state-of-the art sustainability at eight small hotels and lodges in Central America. Their goal of not using a single drop of fresh water for garden irrigation is being tackled through treatment plants that re-use wastewater to irrigate green areas. Water is heated through solar panels, and plastic water bottles and straws have been replaced with treated, filtered water provided to guests in reusable glass bottles, and recyclable, reusable bamboo straws. At Lapa Rios in Costa Rica — with its 1,000-acre corridor of private Pacific lowland reserves — Cayuga aids scientific research, together with Osa Conservation, to protect highly-endangered wild feline populations. 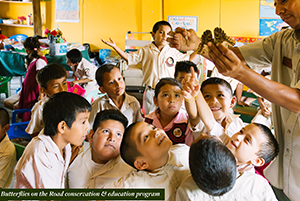 Cayuga's Earth Equilibrium NGO provides environmental education to children in areas surrounding hotels and lodges, while guests are inspired through popular back-of-the-house tours that offer a hands-on view of how sustainability directly touches each vacation experience. Other initiatives include plant-a-tree programs, electric carts, biogas production to reduce the use of propane, and a ‘Dock to Dish’ pilot program connecting local fisherman with chefs to save ocean species. 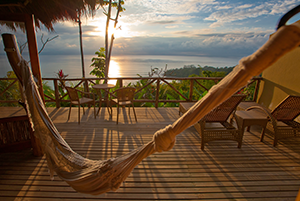 One of Belize's first eco-resorts, the Lodge at Chaa Creek, nestled in a private nature reserve, demonstrates that putting people first benefits employees, local communities, its own bottom line, and the country's tourism industry as a whole. The lodge employs more than 160 Belizeans and provides extended economic benefits to villages, cultural, and environmental organizations across the nation through its tours and vacation packages, directing 10 percent of all room revenue to social and environmental programs. Annual training and workshops in culinary arts, hospitality, conservation, tour guiding, first response, and career development helps employees advance within Chaa Creek, start their own businesses, and enter management positions in Belize and abroad. The Lodge sponsors an Environmental Outreach Program, a free Eco-Kids summer camp, a secondary school scholarship program, and internships for local high school and college students. 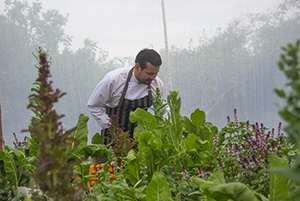 Guests see traditional agriculture in action at the Lodge's organic farm, shop at riverside villages on canoe trips, and take craft and cooking classes at women's cooperatives. As a major employer, the Lodge has gained a stronger voice in influencing national policies to embrace sustainable tourism best practices. If American pioneers from more than a century ago re-appeared in Santa Fe's plaza today, they would recognize it instantly. The city of Santa Fe, the United States' oldest state capital, considers safeguarding its rich heritage a duty. 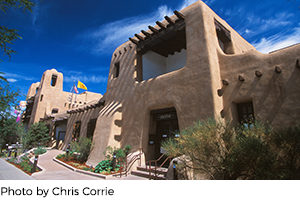 The historic downtown plaza and surrounding area allows visitors to experience authentic adobe architecture, the 400-year old Palace of the Governors, the Cathedral Basilica of St. Francis, and classic trading posts. A strong building code prevents structures over three stories from blocking mountain views or diminishing the city's traditional 'long and low' architectural signature, and the Historic Preservation Division protects the city's archeological and cultural character while educating the public on the importance of preservation. Long home to major cultural events celebrating its Native American, Spanish, and Anglo heritage, the city continues to support a full calendar of annual festivals, including the Fiesta de Santa Fe, the nation's oldest continuous public celebration, and the Santa Fe Indian Market, nearing its centennial. Always a vibrant western hub, careful downtown preservation work has allowed Santa Fe to retain its historic character for today's travelers. 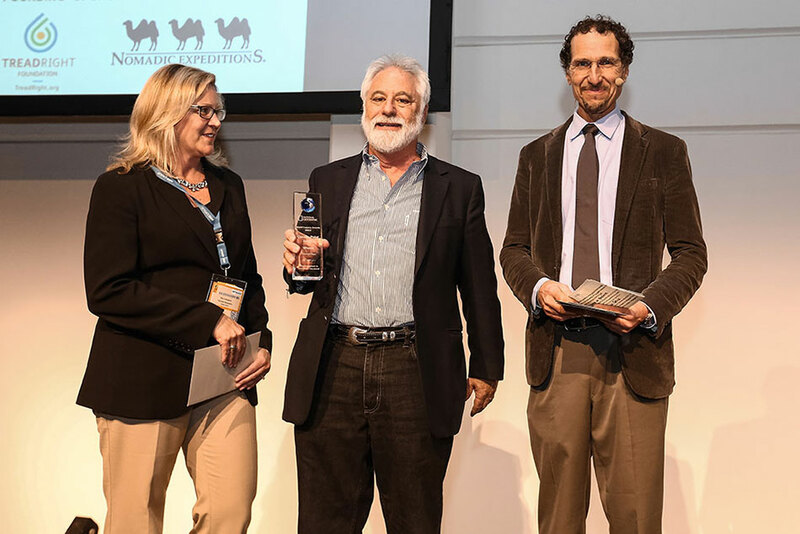 Recognizing outstanding support for the preservation of nature, restoring natural habitat, protecting rare and endangered species, whether on land or in the oceans. 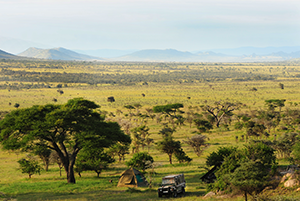 This guide-owned outfitter offers expeditions and walking safaris into some of Tanzania's most remote wilderness. Conserving wildlife habitat by giving local communities a viable stake in tourism and incentives to preserve land is central to their vision. Conservation efforts and partnerships focus in the Simanjiro Grazing Easement on the Maasai Steppe, a critical wet season migration area and wildebeest calving ground, as well as an important grazing area for Maasai cattle. These crucial grasslands support more than ten thousand wildebeest, zebra, and at-risk species, yet have no formal government protection and are threatened by destructive farming and poaching. With an active, mobile presence, Mark Thornton Safaris provides important 'eyes and ears' - combating poaching and livestock encroachment, monitoring wildlife, assisting to secure boundaries, generating revenue to parks and local communities, and helping to manage important conservation zones. A successful partnership with local Maasai communities helps protect land for communal grazing, eradicate invasive weed species, and provide supplemental tourism income. Practicing strict 'leave no trace' principles with low-impact mobile foot safaris, guests participate in beneficial tourism as they learn about urgent conservation issues. On a private Indonesian island in the heart of global marine biodiversity, Misool Eco Resort and its charitable foundation are protecting one of the world's richest reefs and demonstrating that sustainable tourism and community-based conservation are mutually beneficial. Misool Eco Resort and Misool Baseftin Foundation protect marine habitat, influence policy, and empower local communities. They manage more than 758 square miles of marine protected area, including two No-Take Zones, operate a ranger patrol team to prevent illegal fishing, research and monitor manta ray populations, run a community recycling program, sponsor a remote village kindergarten, and lead a program to end hunting of mantas and sharks by providing alternative livelihoods to fishermen. 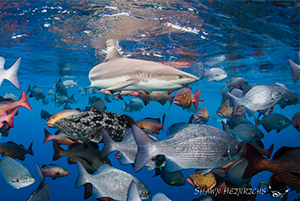 In the last decade, these efforts have significantly reduced illegal fishing activity, increased fish biomass, helped create Indonesia's first Shark and Manta Ray Sanctuary, and led to a nationwide manta ray fishing ban. Resort guests participate by adopting mantas, sponsoring satellite tags, and contributing to a new ranger patrol boat. Through Misool's tenacious education and support, fishing communities have increased catch size while more fully complying with regulations to conserve healthy reefs. 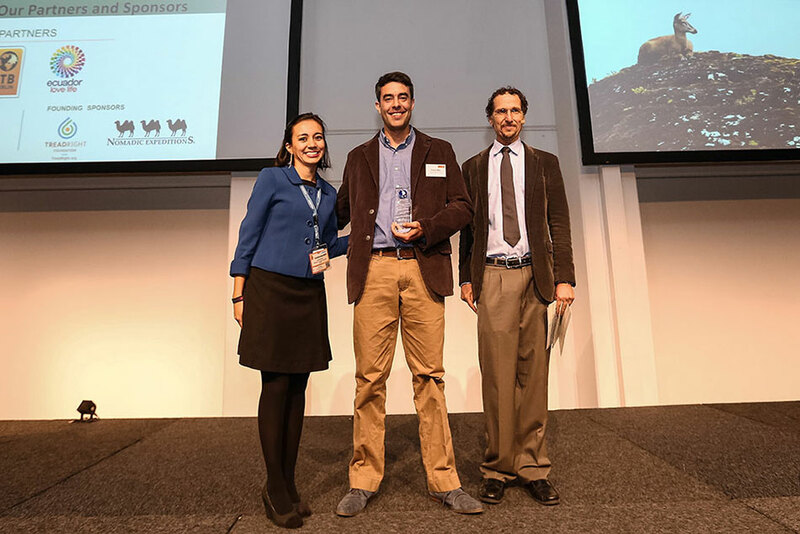 Recognizing destination stewardship, including cities, provinces, states, countries, and regions that are demonstrating environmental best practices, protection for cultural and natural heritage, benefits to local people, and educating travelers on the principles of sustainable tourism. This destination's history of leadership began with the creation of the world's first national park, Yellowstone, in 1872 and has expanded to protect more than 97 percent of area lands and rivers. Together, the Foundation and Chamber of Commerce empower a robust community of motivated, interdependent public and private stakeholders to sustain environmental stewardship, social responsibility, and economic vitality through strong policies; information resources and reporting; training; technical and financial assistance programs; and networking opportunities. Strategic initiatives have resulted in a land use plan for sustainability and ecotourism; an open space resolution ensuring protection of 25,000 acres of conservation easements; a comprehensive county plan prioritizing wildlife protection; educational materials and a Sustainability Code of Conduct for visitors; and a wide range of festivals celebrating local history and heritage, the arts, western and Native American culture, ecology, and wildlife. 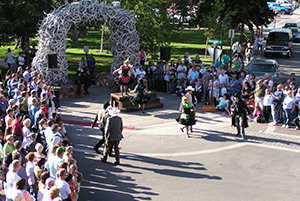 To unify the area's diverse sustainable activities, the Jackson Hole and Yellowstone Sustainable Destination Program was established to maximize the effectiveness of all efforts to advance, protect, and preserve a treasured environment that inspires four million visitors each year. When the founder of a global organization dedicated to 'maintaining the life-giving properties of the planet in the interest of all future generations' opens a lodge, sustainability is bound to be at its core. Segera Retreat, a high-end ecolodge in Laikipia, reflects the mission of the Zeitz Foundation: achieving a powerful, positive, and lasting impact on the health of the environment, wildlife, and communities. As both an ecotourism flagship and a community initiative, Segera acts as an incubator for innovative technologies and approaches that can be tested, refined, and replicated in Africa and beyond. 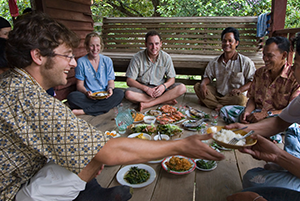 Efforts to enhance local livelihoods, health, indigenous species, habitats, and guest experiences intertwine seamlessly. The lodge supports a local school to harvest and filter rainwater. It has established projects to replace deforestation and overgrazing with conservation agriculture, tree planting, beekeeping, solar power, and low-energy cooking, and supports the establishment of women's beading and crafting enterprises. It has re-opened migratory corridors and provided creative ideas to curb human-wildlife conflict. Lodge guests participate in virtually all projects, providing hands-on help and experiencing opportunities for natural and cultural learning and engagement. 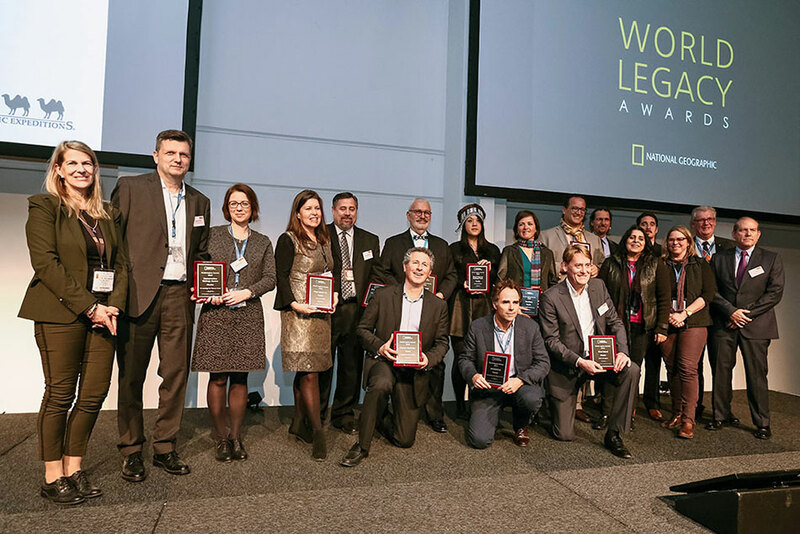 Recognizing cutting-edge leadership in environmentally friendly business practices and green technology, from renewable energy and water conservation to zero-waste systems and carbon-emissions reduction. Imagine operating a hotel in such a remote location that every vegetable served to guests must travel more than 600 miles before reaching dinner plates. As a pioneering ecohotel in the Galapagos, Finch Bay has created its own contained agriculture farm just half a mile from its doors. The pilot project for closed-loop sustainable technology produces organic, water-efficient food on the hottest, driest part of the island. Its high-yield process reduces water inputs, cuts the need for pesticides, trims land use, shrinks spoilage waste, and curtails the carbon footprint of production. The successful operation has now been replicated at other Galapagos hotels. Acutely aware of its fragile local environment, the hotel installed its own water treatment and desalination plant to eliminate water pollution and reduce the environmental cost of drinking water production, created an extensive network of rainwater collection canals, and installed solar water heaters to reduce energy needs. Finch Bay also leads a reforestation project to restore neighboring mangrove forests, built artificial swamps to house endemic bird species, and promotes a range of environmental education initiatives for local youth. 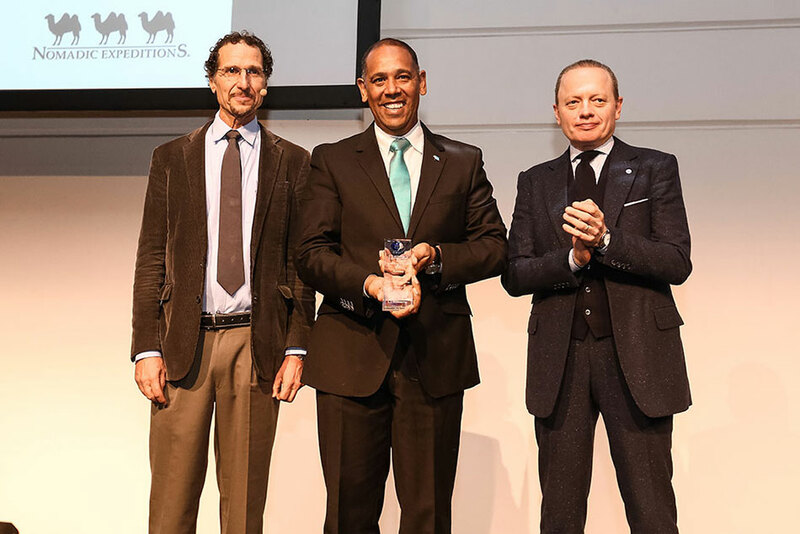 With a goal of being the ‘greenest luxury hotel chain in the world,’ ITC's 11 luxury hotels embed sustainability into each property's fundamental design. All are LEED® (Leadership in Energy and Environmental Design) Platinum certified, the highest recognition accorded to green buildings, including The Grand Chola and ITC's business headquarters. ITC also self-owns wind farms for its own consumption, with more than 50 percent of its electricity powered by renewable wind and solar sources. The hotels treat and recycle water, reducing consumption by 50 percent. Excess treated water and compost are shared with local municipalities, with nearly all solid waste recycled. 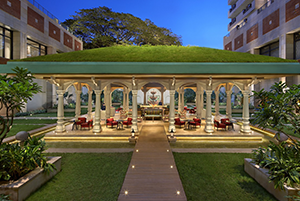 ITC Maurya has installed an innovative rooftop solar paraboloid concentrator, which generates enough hot water to meet laundry and kitchen requirements, and the ITC Sonar has earned carbon credits. ITC's policy is to replant all vegetation disturbed during construction, and they have planted more than 10,000 trees in the last two years, while also ensuring that at least half of all paper and wood is either Forest Stewardship Council certified, sourced locally, or recycled. Recognizing direct and tangible economic and social benefits that improve local livelihoods, including training and capacity building, fair wages and benefits, community development, health care, and education. Established in response to the 2004 tsunami, Andaman Discoveries has become a bridge between visitors, volunteers, and small Thai communities. The group's tours empower local people while immersing guests in the cultural diversity and natural beauty of Thailand's north Andaman coast. All initiatives are community-led. Villagers decide a fair cost for tourism services, 20 percent of guests' payments goes to a fund that benefits community members, and 50 percent of Andaman profits support its Foundation for local initiatives. Andaman trains local guides, promotes local businesses, and provides translators and literature to ensure visitors respect cultural customs. Environmental projects include an organic garden, rain catchment system, mangrove conservation, and cultivation of an endangered endemic plant that provides crucial habitat for native fish and food security for villagers. Andaman combats the adverse effects of outside tourism companies on indigenous Moken people through a unique all-Moken guide group that generates jobs, protects cultural heritage, and allows Moken to remain within their own communities, demonstrating that when local people are stewards of their own culture and environment, tourism can be a powerful force for good. 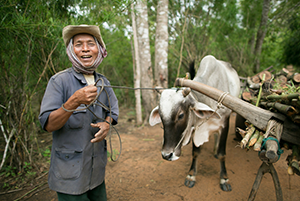 Long before Cambodia's Ministry of Tourism embraced ecotourism, a visionary NGO launched a project to lift the community of Chambok out of poverty through sustainable travel. Today, Chambok Community Based Eco-Tourism (CBET) is entirely responsible for its own management and operations. When Mlup Baitong began, villagers with no income-generating alternatives engaged in illegal logging, charcoal and fuel-wood production, and wildlife hunting. More than half of the population has since joined the CBET, trained in ecotourism skills, and received initial infrastructure improvement support. Now a self-sustaining operation, CBET generates profits to members and contributes 20 percent of its income to a community development fund supporting women's self-help groups, health projects, micro-enterprise initiatives, and a community water supply system providing safe drinking water. All CBET staff, tour guides, businesses, and managers are members of the local community, providing guided treks, traditional handicrafts and cooking, local home stays, dance performances, and ox-cart rides. 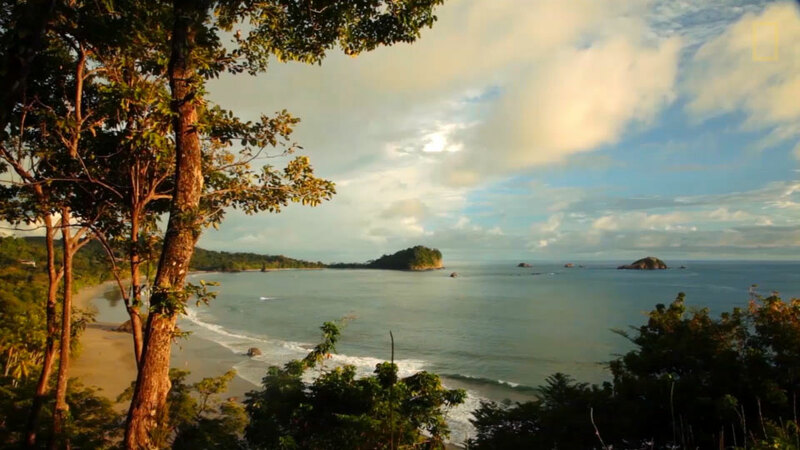 Members established and patrol a Community Protected Area to conserve surrounding rainforest, prevent illegal activities, and grow saplings for reforestation. Chambok has become a model for environmental protection, improved livelihoods, and authentic travel experiences in Cambodia and beyond. 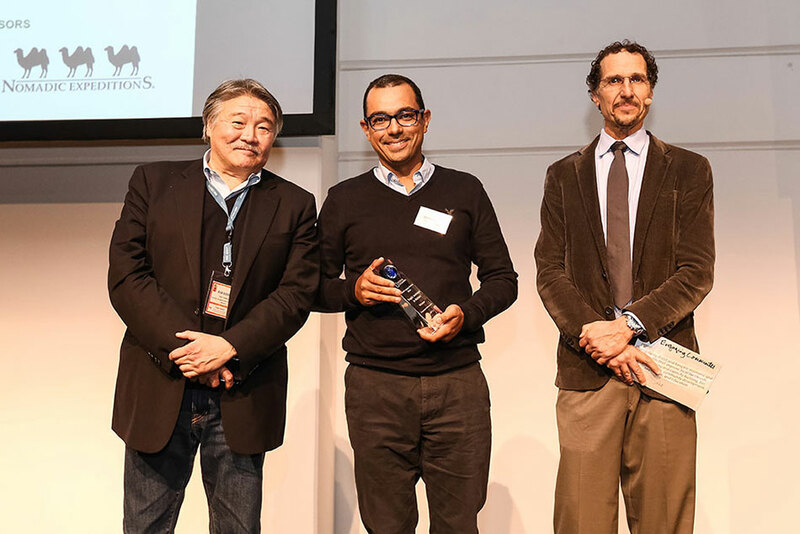 Recognizing excellence in enhancing cultural authenticity, including implementing vernacular architecture and design, support for the protection of historic monuments, archeological sites, indigenous heritage, and artistic traditions. 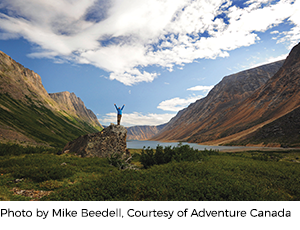 This family-owned travel company specializes in land-based and small-ship cultural adventures in Canada's Arctic, west, and east coasts, elevating appreciation of local heritage not only among travelers but also within the visited indigenous communities themselves. Partnering with small communities and hiring locally allows passengers to travel with renowned Inuit artists, Canadian authors, musicians, and scientists who share their personal heritage, history, and stories of Canada's most remote art, culture, archeological sites, landscapes, and wildlife. 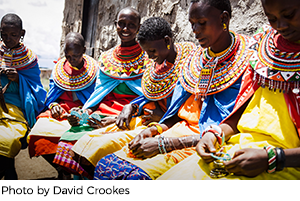 Travelers experience everything from Inuit games and printmaking to traditional weaving and drum dancing. The organization works closely with community members, helping them realize their tourism potential while protecting an authentic sense of place. Recognizing that engaging youth is integral to safeguarding historic sites and promoting local culture, Adventure Canada provides opportunities for young Inuit people to gain first-hand experience in archeology, teaching, and guiding. Other partnerships help develop and protect future sites and create tour operation guidelines that balance economic growth with cultural preservation. The group's Discovery Fund has helped support key Canadian cultural, environmental, and wildlife organizations for more than two decades. Not far from Machu Picchu in the Sacred Valley of Peru, a non-profit organization is helping indigenous women artisans lift themselves, their families, and their communities out of poverty while allowing travelers to experience Quechua culture in an immersive, sustainable, and respectful manner. Awamaki focuses on traditional Fair Trade crafts, and rural community tourism. The organization works with Andean cooperatives to provide education, skills, and opportunities that help women create strong, independent businesses while celebrating and promoting local cultural traditions. Cooperatives produce hand-spun alpaca wool, knitwear, woven textiles, and sewn accessories. Awamaki funds training sessions in reviving traditional weaving designs and techniques, as well as linking cooperatives to sales opportunities in Peru and abroad. 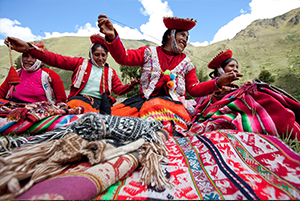 The sustainable tourism program enables visitors to participate in traditional Quechua culture through homestays in rural villages, weaving workshops, cooking classes, woodworking, and other hands-on immersive experiences. Women artisans and hosts overwhelmingly report using their tourism income to invest in nutritious food, send children to school, access healthcare services, and make physical improvements to their homes. Awamaki proves that social well-being and meaningful travel experiences can grow hand-in-hand.